What it is : A soft shimmer eye shadow that softly illuminates lids. Light shades can double as highlighters under the brow bone. Who it's for : Anyone who wants a shimmery shadow that's subtle enough for daytime wear yet versatile enough for dramatic evening looks. Why it's different : The blendable, silky powder formula delivers a soft wash of shimmering, translucent color. Explore the entire range of Eye Shadow available on Nykaa. Shop more Bobbi Brown products here.You can browse through the complete world of Bobbi Brown Eye Shadow. Alternatively, you can also find many more products from the Bobbi Brown Shimmer Wash Eye Shadow range. Explore the entire range of Eye Shadow available on Nykaa. 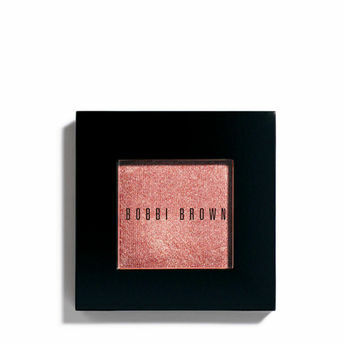 Shop more Bobbi Brown products here.You can browse through the complete world of Bobbi Brown Eye Shadow .Alternatively, you can also find many more products from the Bobbi Brown Shimmer Wash Eye Shadow range.